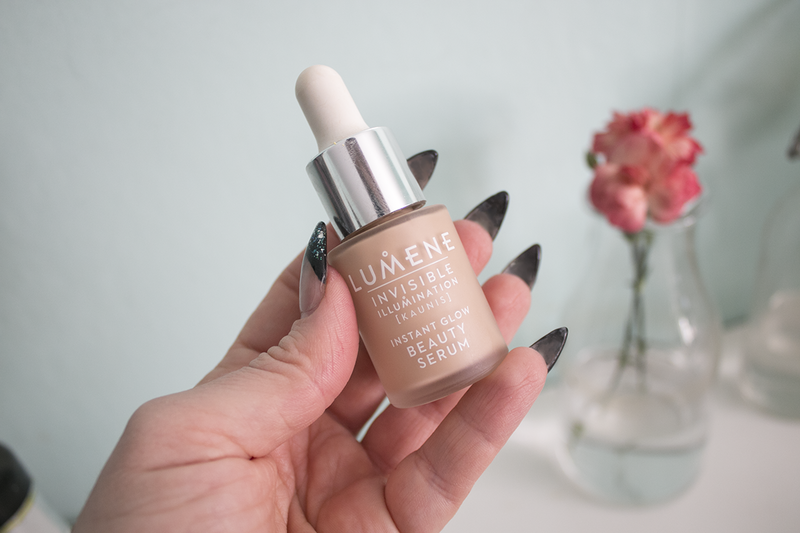 Lately I've let the foundations and powders (I usually use mineral powder foundation for everyday use) rest in my drawer and used only this - Lumene's Instant Glow Beauty Serum. I had a friend praise it for magic a while back and tried a sample in the shop but didn't really get what it was about. But when I got a small bottle as part of a Christmas gift and actally tried it on my face instead of at the palm of my hand I realised it really does something. Not sure what it that is, but it works. I't wont offer coverage nor fill out any fine wrinkles but it somehow makes things i.e. the face, look nice. All in all I actually use less make up and skin care now when odler, than in my twenties. Or; less product. Part of it is age and convenience and (mainly) a different way to see yourself, part is propably also that I do a heavy stage make up often which calls for the face to rest. 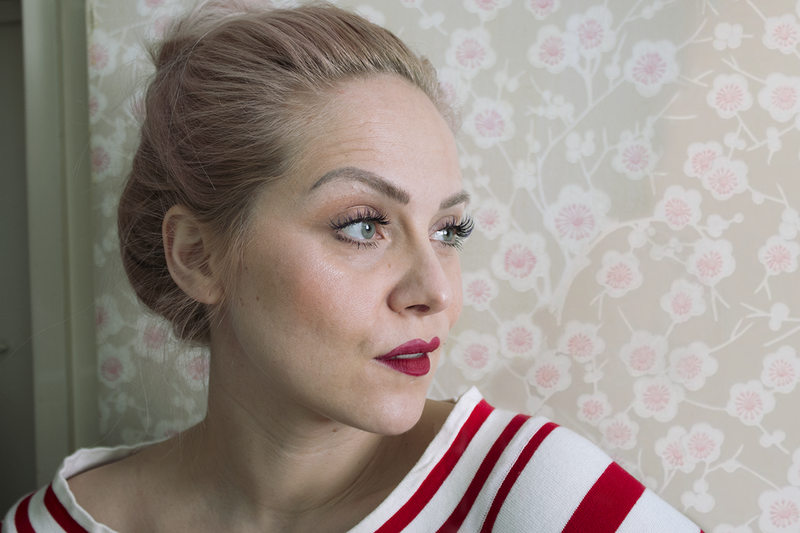 I do love make up and prefer strong lips (as you know) but unless it's a special day when I do a 30sec eyeliner* it's often just a quick base - now the serum - a bit of rouge (powder or creme) and the lips, fix my lashes and I'm done. In summer I plan to get extentions again and can skip the last step. *) After twenty years of drawing the same shape it's almost an eyes-closed-thing. Although � the years along with gravity is not making itself unnoticed and the usual shape needs to be altered a bit these days in order for the direction of the eyeliner wing to point up and not down. Sigh. Disclaimer: As usual, nothing here is sponsored (unless specifically mentioned) and this is just my own opinion and will to recommend something. Altough I would gladly take a few years supply of this would anyone hand me.